Since the release of Visual Studio 2013 a few weeks ago we have the possibility to use the immense power of the cloud to perform Load Tests on our public websites. This is a Team Foundation Service feature and can be used when you have a TF Service account. For now, since the load test service is in preview, it is free to use. 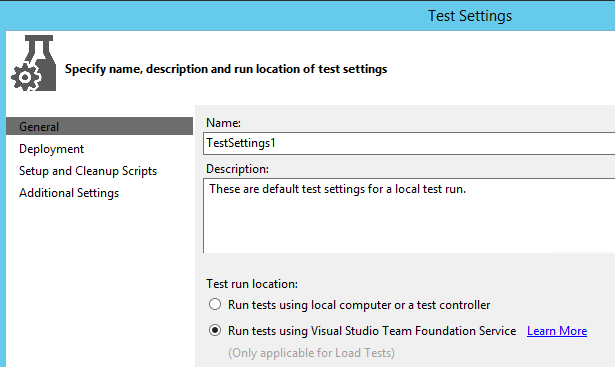 Yesterday I was playing with the Load Test Service and noticed that VS 2013 froze when I started to run my Load Test. The infamous “Balloon of Death” popped up and the only remedy was stopping the Visual Studio Process. First of all my starting situation. 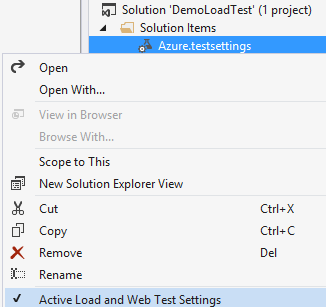 I opened Visual Studio 2013 and created a really simple Web Performance & Load Testing Project. I created a really simple Web Performance Test (one that opens a website and clicks a link), and a simple Load Test that runs this test for 10 minutes with 3 users. Locally this runs fine. Now I wanted to run on Azure. After some digging, I found some interesting things. 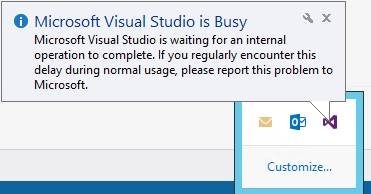 Visual Studio 2013 must be connected to your account in order to be able to bill you for using the Load Test Service. That makes sense not? So I signed in with my Microsoft account. In Visual Studio 2013 this is possible. Signing in allows you to synchronize settings between computers and much more (see this post). After signing in, my test still froze. Then I noticed another thing. My Team Explorer was connected to my on-premise TFS instead of my Service Account. So, within Team Explorer I connected to my TFS Service Account. After that, my tests worked fine !